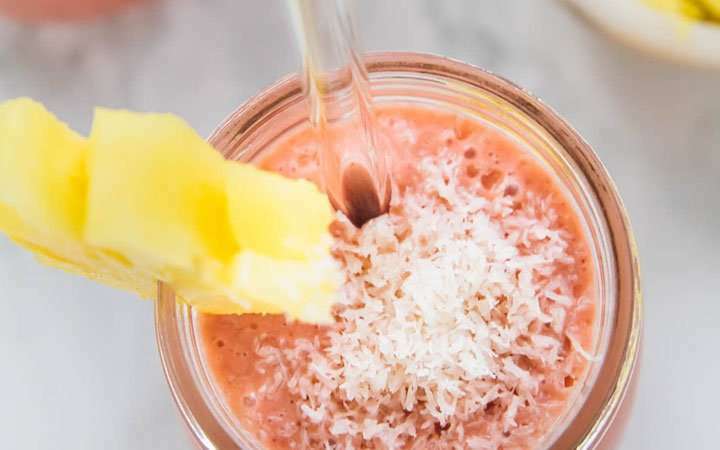 This is a lovely, light and refreshing fruit smoothie that can be tangy or sweet. You choose whichever you prefer. What determines the sweetness of a smoothie? There are two main things: it will depend on the ripeness of your fruit or whether you add sweetening to your taste. 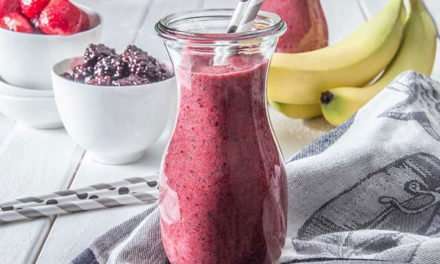 If your fruit is not ripe, you can increase the sweetness by adding a few sweet dates – which also gives a bit more fiber – or with raw honey or maple syrup. 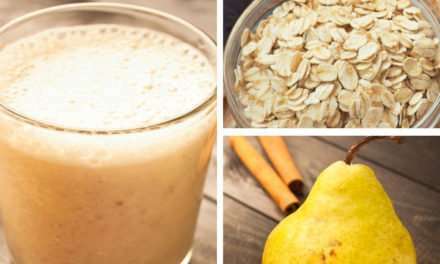 To serve this smoothie as a meal replacement you can add oats and ground flaxseeds which will boost the nutritional value. These also add soluble and insoluble fiber, heart-healthy omega-6, omega-3 (ALA) an essential fatty acids which the bdy cannot make, protein and essential amino acids as well as various vitamins and minerals. Soluble fiber helps regulate blood sugar and cholesterol levels. It also promotes digestive health by feeding the beneficial bacteria in the digestive system (7, 8). When mixed with water, the mucilage gums in flaxseeds become very thick. This, combined with the insoluble fiber content, makes flaxseeds a natural laxative. Hi Isabel, thanks for sharing this post, it’s very well written. I’ll definitely try out adding honey or maple syrup for a bit more sweetness in my smoothies. 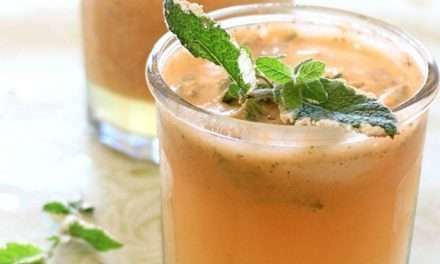 I just finished reading this article over at http://www.totalbeings.com/the-smoothie-diet-review/and would love to get your thoughts. Thanks heaps again for the recipe, I’m sitting on the fence if I should sign up or not…Cheers!